Be the Star You Are! 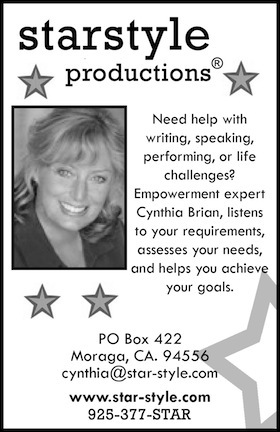 is a not-for-profit 501(c)(3) corporation whose mission is to empower women, families, and youth through improved literacy, tools for living, and positive message media. Be the Star You Are! collects, distributes, and promotes books and other positive media to women, families, and youth at risk as a way to increase literacy, decrease violence, raise life skills, self worth, and self esteem. This media ranges from education and advisement to inspiration and guidance covering every aspect of life, from abuse through money management, health, environmental stewardship, relationships, parenting, business skills, and entertainment. Be the Star You Are! promotes the creed, “Read, Lead, Succeed!” by producing and hosting two internationally broadcast uplifting, positive radio programs featuring authors and experts. Be the Star You Are! saves trees through its book recycling programs by rescuing and redistributing many of the millions of unsold or damaged books that are shredded and burned each year. Being a conscientious steward of the earth is important to the organization. 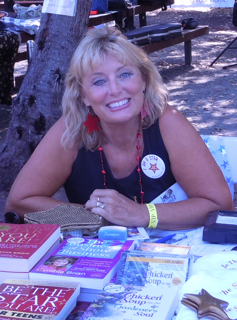 Books: Two award winning signature books have been published. Be the Star You Are! 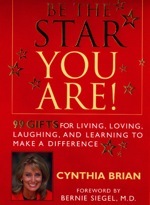 99 Gifts for Living, Loving, Laughing, and Learning to Make a Difference by Cynthia Brian and Be the Star You Are! 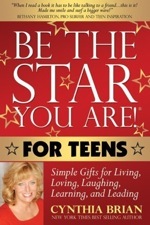 for TEENS by Cynthia Brian with 38 contributors. 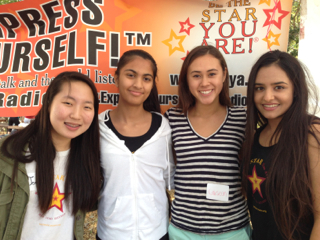 Radio: Starstyle-Be the Star You Are! 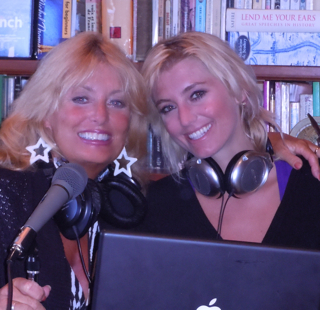 radio program began on a terrestrial station in San Francisco and now broadcasts live weekly to 219 countries around the world showcasing experts, authors and selected books to encourage literacy, self-worth, and a positive life style. 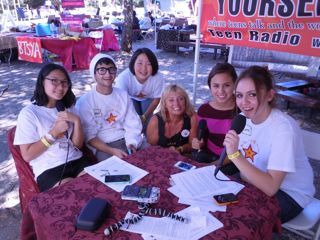 (http://www.bethestaryouareradio.com) The official radio station of the charity is the Voice America Network, Empowerment Channel. On-Line Creative Community: Express Yourself!¡, at www.BTSYA.com is where writing, art, photography, video, music, and the voices of the young-at- heart can be uploaded and shared. Webisodes: SHINE is our video series showcasing positive people, places, and programs. Reading SPELLS Success: An audio book program for children whereby volunteers lend their voices to favorite children’s books on line. 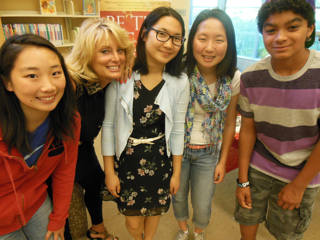 Book Reviews: The Star Teen Book Review Team reads and reviews books for children and teens to help parents, educators, and librarians choose worthwhile books for kids and teens. Thousands of books have been reviewed. 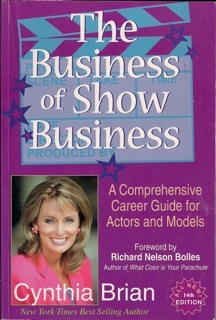 The reviews are published at www.BTSYA.com and at The Reading Tub for publishers. Live Your Legacy Campaign: Short articles honoring heroes and leaders who make a difference in our world through their works, services, and actions solicited during January and February. Holiday Book Distribution: Donations of new books to those in need of holiday gifts and cheer. Give a Case: A book donation program giving full cases of new books to shelters, hospitals, schools, clubs, and other non profits to increase literacy. Amazon Book Store: Offers books featured on our radio program and other recommended reads at the lowest price with sales benefiting the literacy programs. National Essay Contest: An annual competition offering aspiring writers the opportunity to be published and express their ideas to a global community. Letters for Literacy: A writing outreach program for teens conducted to increase the awareness of the ramifications of illiteracy. Paint-a –Pot, Plant-a-Seed: our signature volunteer outreach project for kids as a metaphor for planting the seeds of literacy and teaching eco-stewardship. 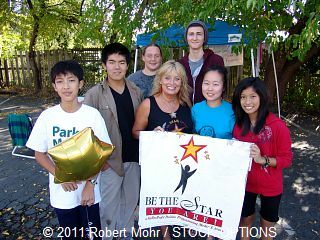 Community Event Participation: Be the Star You Are! 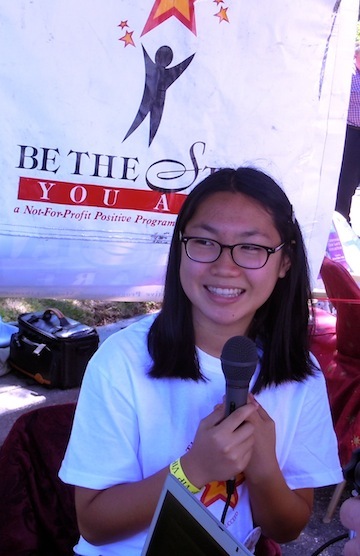 participates in numerous community events offering teens, families, and court appointed individuals the opportunity to get involved, serve, and make a difference. 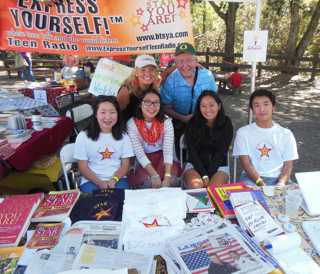 Star Searcher’s Express Newsletter: A monthly e-newsletter with tips, quotes, news, and spotlight on volunteers. 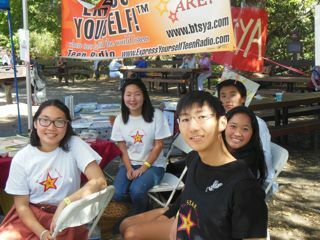 Club BTSYA: Organized clubs for junior high and high school students to encouraging community involvement, writing, reporting, and volunteering for outreach projects to teach leadership. 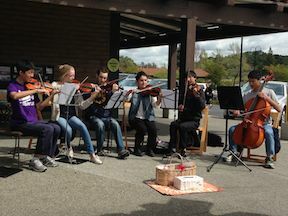 FREE Pop Up Concerts: Under the direction of a teen, the Be the Star You Are!® orchestra performs at venues in California to raise awareness for the problem of illiteracy. Possibilities for Prisoners Project: An outreach service providing empowering, encouraging, and life skills books to those incarcerated who feel helpless and hopeless. 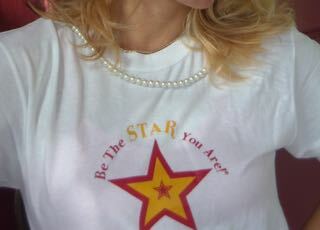 Be the Star You Are! mobilizes for disaster relief shipping thousands of books, media, videos, and other resources under its “Operation” series of programs. Resources were gathered and shipped for Operation Ground Hero (9/11), Operation Hurricane Relief (Hurricane Katrina and Rita), Operation Fire Relief (Southern California Fires, Operation Tornado Relief (Joplin and Midwest Tornadoes), Operation Hurricane Sandy Relief (New Jersey and New York). Be the Star You Are! is a volunteer organization that operates through contributions, in-kind donations, and proceeds from fund-raising events. Be the Star You Are! does not receive state or federal funding and is solely dependent on contributions from the community and corporations. 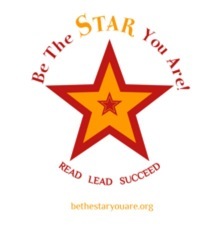 Be the Star You Are! supports all ethnicity’s and has no religious or political agendas or affiliations. Sorry for my bad english. Thank you so much for your good post. Your post heepld me in my college assignment, If you can provide me more details please email me.